The subject of women's representation in comic books can be a divisive one. And in the latest drama on the subject, artist Frank Cho has left Wonder Woman over disagreements about cover art. Cho claims that writer Greg Rucka believed his covers were "vulgar" and showed too much skin; he believes the covers were no more revealing than the internal art and calls Rucka's criticisms "censorship." Disputes of this nature aren't new, though — in fact, they go back as far as Wonder Woman herself. Frank Cho was originally commissioned to produce 24 covers for the Wonder Woman comic. He was a controversial choice, given his history of provoking outrage — such as when he paid homage to an infamously sexist Spider-Woman cover last year — but response to his new covers for Wonder Woman has been largely positive. But it seems one person wasn't a fan: Wonder Woman writer Greg Rucka. The disagreement between the two prompted Cho to leave the comic after completing six of the commissioned 24 covers. In a statement to Bleeding Cool, he said, "EVERYONE loves my Wonder Woman covers and wants me to stay. Greg Rucka is the ONLY one who has any problem with covers. Greg Rucka has been trying to alter and censor my artwork since day one." He also claimed that Rucka's criticisms were part of a "political agenda" and maintained that his covers were no more revealing than the art inside the comics. He has also confirmed on Facebook that he is leaving Wonder Woman. The sketch for the new cover seems very much in line with the final product of Cho's previous Wonder Woman covers. Whatever the exact nature of Cho and Rucka's differences may be — Rucka has yet to comment publicly on the departure — the struggle over Wonder Woman's image goes back to the very beginning of the comic. As best chronicled in Jill Lepore's Secret History of Wonder Woman , the comic was first created by woman's rights supporter William Moulton Marston in the early 1940s as a female alternative to the male superheroes that were already gaining huge followings, and she was meant to give young girls a strong woman to look up to. Wonder Woman came from an island of independent women; she was both smart and strong; and she was often shown literally breaking chains — art that was reminiscent of suffragette posters. She was intended to embody a seamless blend of femininity and strength. Worried about how broad an appeal a female superhero might have, however, the early developers not only made her strong, but designed her outfits to be revealing, hoping to attract more readers by showing a bit more skin. And that tension has been part of Wonder Woman's appearance ever since — the tension between portraying her as a powerful and independent woman and portraying her specifically to cater to the male gaze. It's a difficult minefield to navigate. There's nothing wrong with a woman who doesn't dress like a nun — women's bodies and women's skin isn't inherently scandalous. But there is a problem with woman's bodies being posed and positioned specifically for male enjoyment — because woman's bodies aren't made just so that men can ogle them, either. And people have a different idea of where the dividing lines might be. 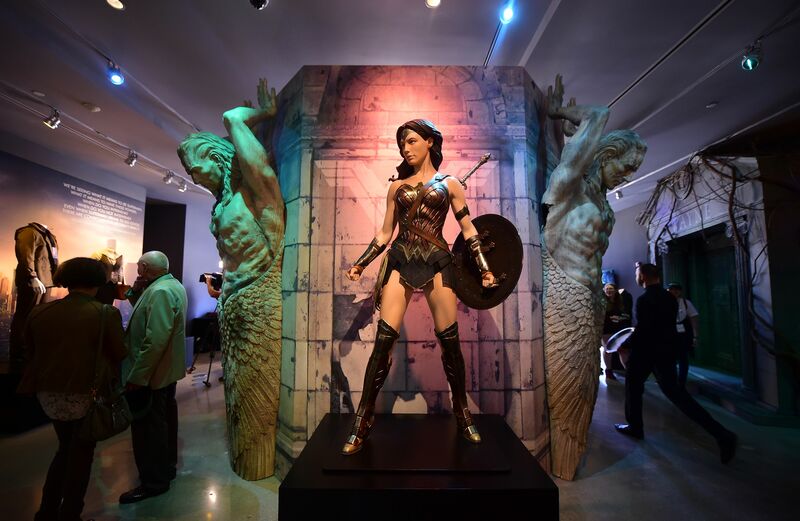 From her creation, Wonder Woman has been criticized both for her bold confidence and unabashed strength, which many claimed was not feminine, and for her skimpy outfits, which people have often claimed undermines any attempt to portray her as empowering or independent. It's a conflict that may never fully go away — 70 years after she was first created, we're still seeing those same issues play out among her modern writers and artists.